Digital marketing is becoming more and more essential as the day goes by. Not only that, but more and more people are realising this. This is making the digital marketing space an increasingly competitive one. Businesses need every edge they can get to beat the competition. Many choose to run SEO for long term gains and PPC for short term ones. They’re often seen as opposing forces when we should actually be looking at them as complementary rather than competing. Why choose between them though when you can run SEO and PPC combined campaigns and get the best of both worlds? When it comes to Google search, a lot of you may still be working on your SEO and PPC campaigns separately. They have traditionally been separated as disciplines and therefore worked on in isolating from one another. This is mainly down to the different styles of working. SEO is more experimentative and is less data-driven whereas PPC relies heavily on data and data analysis. This often leads to different team members or types of people working on them. It isn’t always a bad thing to separate the campaigns but it’s good to know the pros and cons of each as well as how they can potentially work more effectively together. They both bring their own strengths to the table individually. Let’s take a look at what they’re both good at and why you’d use them. SEO has a number of different benefits to the longevity of your website. Organic search is a huge part of most business’ website performance, as well as a critical component of the buyer funnel and ultimately getting users to complete a conversion or engagement. Let’s look at a couple of the main benefits. As mentioned before, SEO is seen as more of a long term investment. This is because firstly, it takes much longer to start to see benefits from a campaign. There is a lot of initial setup work to be done where the effects are staggered and incremental. For example, the effects of gaining a backlink (an important part of off-page SEO) may take up to 3 months to be seen. The biggest pro is, therefore, long term sustainability. SEO can impact your ranking sustainability in the long-term. While these changes take a long time to come to fruition they are fully worth it as they stick for much longer. Rankings gained through PPC by their nature are temporary. A great statistic around this is that 70% of links searched and clicked on by users are organic. While there are exceptions to this rule, you can generate more clicks from a highly placed organic listing than from a highly placed paid ad. This is down to a number of factors, one of the big ones is that ads can simply be filtered out of users searches with adblockers. The way Google ranks sites is often a factor in this. Google focuses on putting forward sites with trust and authority. The user will be more likely to click on a site which presents this. SEO will encourage you to make your site as authoritative as possible and therefore give the user the best experience. The biggest reason users will click on an organic search result though is trust. Non-paid content can give users the impression of perceived brand credibility and a stamp of approval by Google — because if you’re rising in results organically, without having to pay, others must also be enjoying your content and find it relevant. Despite both being run by search engines, PPC and SEO are completely different beasts. One is yin, the other is yang. PPC gives you benefits that SEO can’t, or at least can’t in the timeframe you may require. Let’s look at some of the main benefits of PPC for your website traffic and conversions. The main benefit of having a PPC campaign is that you usually get quicker results without having to wait several months for a good ROI as you might with SEO. According to Neil Patel, paid ads can start generating leads in a half hour (or less), but owned media can take up to a month to start showing results. Being at the top of the search results page really helps these paid ads become more reliable. Working towards page one from an SEO perspective can weeks to months. A well-designed add with some good budget will be there instantaneously. When your site is undergoing SEO, you’re playing a game where you don’t know all the information. Google has not and will not ever tell anyone the exact way they rank keywords and pages, so fundamentally the approach is far more experimentative. PPC, however, has a huge array of data to help support campaigns. You can get super targeted with paid ads. This means that even when you’re paying a bit more than with SEO upfront, you can potentially target individuals deeper in the funnel with higher intent. It’s easier to see in reporting what’s working or what’s not with tests and implementations you make, and then quickly make adjustments. The way we best see PPC and SEO is the differences in specialisms, so they fit together and complement each other. They work in a similar way to the theory of left brain and right brain thinkers. 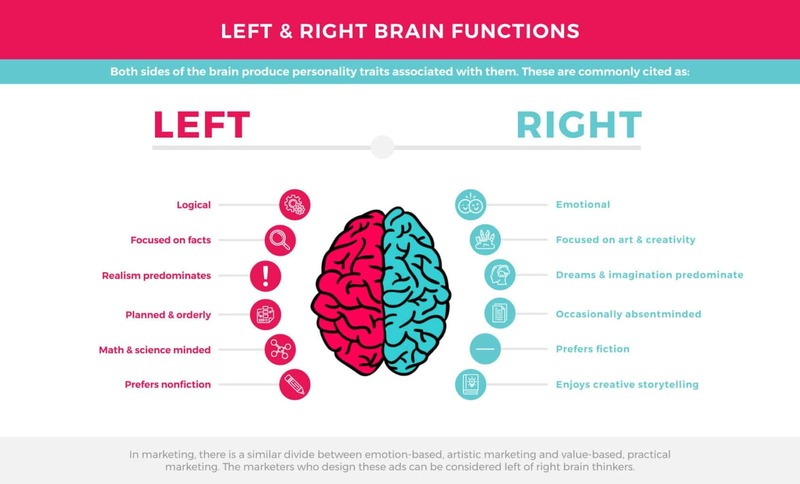 PPC teams are generally more left brain, more analytical and numbers-driven while SEO specialists work closely with content writers (at least with regard to on-page SEO) and may then access their right brain when blending the technical with the storytelling aspects of their job. Now obviously, the campaigns shouldn’t compete on each other. As mentioned before they offer different strengths and weaknesses. When used simultaneously to support the campaign in different ways, it really works. The benefits of running them together can be quite drastic, let’s take a look at how exactly you’ll be reaping the rewards. The logic as to why these approaches work together is obvious. It’s really interesting why people don’t often combine them in the best ways, we can only assume that the two different styles of thinkers don’t communicate with each other as well. Let’s explore some ways in which they can benefit each other when working in tangent. A 360 approach logically allows you the potential to reach more people, especially if you take into account social media advertising. Though some channels may pay off more than others, you may find that there’s more than one channel worthwhile to engage further. By expanding the scope of channels, you can capture new searchers you may have otherwise missed. This increased scope and visibility will really come across to your audience. If they start seeing you multiple times on the search results page through organic and paid advertising, they’ll get the impression your brand is a big deal. When your scope increases, you also have more chance to hit different stages of the sales funnel. Using SEO and content can hit some key areas of the sales funnel, but they mostly hit the initial stages. Using PPC and targeted ads really allows you to close the sale and complete that customer journey. As mentioned before, SEO takes time and PPC is often helpful in getting the conversion process started. While your rankings are growing, you can really gain some brand visibility and awareness with ads. Your ad helps you get that essential first click. Even if that first visit doesn’t convert, you’ve introduced yourself and made an impression. As the customer warms up, they organically return and those clicks are beneficial to your ranking. This means your campaign will progress evenly rather than getting nothing for months with SEO and only getting short term results with PPC. You can use PPC to support SEO when it’s taking a hit too. With algorithm changes having regularly, sometimes keywords fluctuate. PPC helps you whether the storm while you fix the issues. Let’s explore how these two very different methods of marketing can help each other. As mentioned before, the two disciplines almost work as different sides to the brain. One being more creative whereas the other is more numerical. This numerical approach can greatly benefit SEO in the long run, giving you an insight into how your campaign may play out over time. Sharing data on keywords is essential to helping each discipline perform well. Both SEO and PPC work on a keywords basis, so comparing data and results will benefit all. Data from SEO and PPC campaigns should work together to share key points of information that highlight how and what the competition is doing. Showing comparative seasonal data, especially if there are specific times when product demand is significantly higher or lower than the rest of the year. With stats like keyword difficulty, search volume, clicks, and clicks per search at your fingertips, you can create content for your site that’s specifically tailored to those keywords. If this content is offered both organically and through paid advertising, it could serve a dual purpose rather than you having to recreate the wheel with new content offers. In your SEO strategy, you might consider choosing SEO keywords that you normally could not afford in Google Ads. SEO can help identify search terms organically that competitors are spending a ton of money on or have already abandoned. Now, you’re covering your basis when it comes to the bucket of keywords your audience might be interested in while only paying for those which are top performers or cost less. Having more positions occupied with your brand will just obviously increase the chance someone will click through to your site. Running paid ad campaigns that offer precise messages and are located next to your organic listings on Google can increase overall CTR and lead to a higher return on your investment. You may think that there’s no point in having your ad there if you’re ranking for the term organically anyway. However, people very often click on ads over organic searches. In fact, 64.6% of people click on ads when searching for a product or a service. And, again, dominating both organic and paid search results will give the impression that you have an established presence in your market. Every SEO will be familiar with link building and its challenges. There are many out there who are dedicated link builders, it’s definitely a skill. Many shake with fear at the very idea of building links. Fear not as PPC can actually help with link building campaigns. Using the display network allows you to generate a list of relevant websites. This is especially true if your campaigns are contextually targeted, meaning that they’re displaying ads on relevant sites based on your keywords. You may find some good ideas for websites to reach out to for those link building efforts. Working in SEO and PPC may involve different types of thinkers but they are both driven by data. What better way to end then showing you some incredible results and statistics of marketing campaigns which combined SEO and PPC. A marketing agency took on a local contractor as a client. Instead of running separate campaigns, a hybrid approach was taken. Combined, the local contractor experienced a 325% increase in traffic to his website, and his goal of obtaining qualified leads was achieved. This is a good example of where a combined SEO/PPC strategy worked to the benefit of the brand. In this case study, using both SEO and PPC led to more sales and SERP prominence. Sales from organic search and paid campaigns steadily increased over the course of thirteen months. Within that time, organic sales increased over 30% while paid campaign-based sales increased by 68%, more than twice as much as organic search. Similarly, organic search traffic increased by 26%, and paid visits increased by 42%. Although both approaches increased sales, the PPC campaigns resulted in more traffic and more targeted conversions. The benefits are clear to see, they both lead to more real estate on the search results page, giving you the greatest possible visibility. When the search pages are as crowded as possible, you need every advantage you can get. There are proven correlations in increases in website traffic when campaigns are run side by side. Running these campaigns have that affect user experience too, as PPC measures the pages score when you run adds. With SEO focusing more and more on user experience, getting into the habit of optimising pages for users is a great habit to get into. While your SEO is building up, the tweaks you’re making to pages for page score will help. With our website design and development team, we can help you create great websites and landing pages. Rather than decide on one approach, the clear ideal approach to take is to combine the two methods of online promotion. Digital Ethos provide great SEO and PPC services which are driven by data. With a mixture of great SEO and PPC specialists. Having both SEO and PPC work together in every campaign will not only help your company’s conversion rate and drive more traffic, but it will also give your customers a better online experience. PreviousPrevious post:What Google’s Algorithm Change Means For YouNextNext post:Digital Marketing Trends 2019 – What Do We Know So Far?